The EURO PhD Schools (EPS) were proposed and approved in 2012. EPS are education initiatives for PhD students under a school format. One or more EPS may be organised every year, wherever possible. Each EPS may have a duration from 1 to 3 weeks, will have a topic, and will award ECTS credits. The ESWI series launched in 1984. ESWIs are themed events, which provide an opportunity for around 20 early stage researchers to meet for about two weeks. Participants present their material, discuss it with others and with a handful of specially invited senior experts in the field, and finally prepare a paper to be considered for inclusion in a feature issue of a journal in the field of OR. Up to two ESWIs may be approved in any year. This new instrument was approved in 2013 and aims to provide suitable published material on specific topics at a level suitable for PhD students. 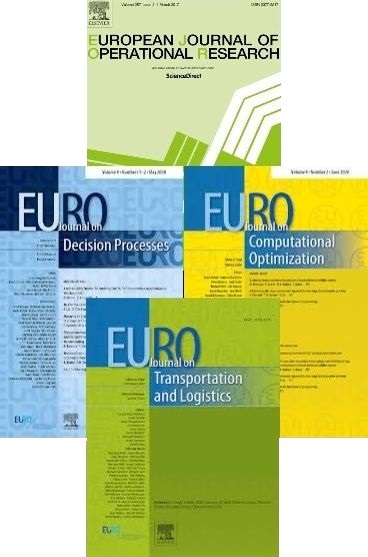 The tutorials will be written by members of the OR community within EURO and edited for publication by Springer. Within the EURO-k conferences there will be dedicated streams for OR Education as well as tutorials with key speakers. ORP³ Conferences were designed as a forum promoting scientific and social exchanges between members of the future generation of Operational Research in academic research. They were intended to be annual or bi-annual meetings of early stage OR researchers organised by early stage researchers in an OR group in Europe. This instrument was formally withdrawn at the Council meeting in July 2015.